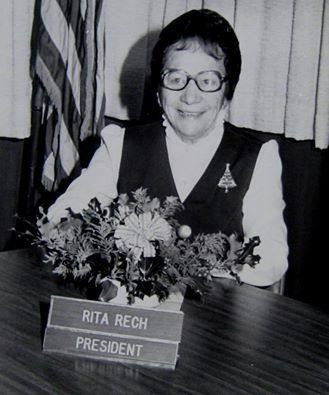 "Working today to preserve yesterday"
The Mastic Peninsula Historical Society was founded by Rita Rech in 1999. Several of our members were originally part of the William Floyd Community Summit, but as their interest in history grew, the need for a completely seperate organization was realized. The Society's first project was advocating for the preservation of an Early-American home known as the "Murray House" (circa 1830 - also known as the Petty House). Although the restoration was a private undertaking, we observed and documented the project as much as was practical and permissible. Another early project was helping the staff of the Mastics-Moriches-Shirley Community Library with their efforts to identify the people and places in historical photographs of the Mastic area. Our group also participated in Brookhaven Town's 350th Anniversary Celebration. Members dressed in colonial garb and told the history of General Nathaniel Woodhull, a local resident killed by the British during the American Revolution. The group's most recent venture has been to produce the "Map of Historical Sites" within the Tri-Hamlet area to guide students, historians, residents and tourists to the many historic sites within our charter area. Over 15,000 copies of the map have been distributed to the public, and are available at our website www.mphistorical.org. Our Main project at this time is to clean up, landscape, fence-off and place a market on the Lane Family Cemetery. The members of the Lane family were farmers in the 1800's, and their farm had a private graveyard, which contained at least thirteen burials that we can account for. The headstones were removed in 1930, but the bodies still remain in the ground. The cemetery is still recognized by the Town of Brookhaven and we hope to begin restoring the site in the Spring of 2012. We also participate annually in the Brookhaven Town Country Fair to disseminate information about the history of our area; this year we distributed samples of our newsletter and displayed photos from our collection. Future goals of the organization include developing our educational program by hosting an annual scholarship essay contest and by giving presentations at local schools regarding the history of the area, the school district, and most importantly, the lives of the historical figures for whom our local schools are named. The Historical Society is a 501(c)3 Public Charity organization. To develop a Pictorial History both past and present. To obtain Oral Histories from long time community residents. To develope an Artifact Collection of items. historical houses and buildings in our area. To develope tours of the Historical Places in our community.